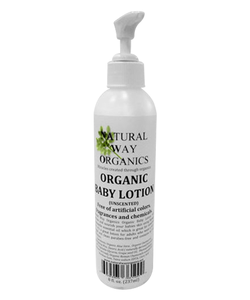 Natural Way Organics Organic Baby Lotion will hydrate and nourish your babies skin using Roman Chamomile essential oil – which is great for sensitive skin. 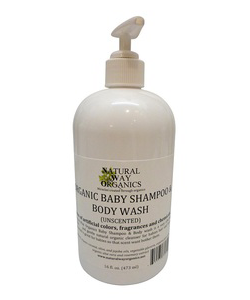 It’s a great lotion for adults who want a very simple and clean paraben-free lotion as well. Plus, it does not contain any nut oil. SKU: 609465361000. Categories: Baby, Lotions. My newborn had very severe baby acne which then turned into dry chapped skin. I was using aveeno baby products and aquafor–neither of which were producing results. I decided to take a leap and try this stuff out and it worked wonders. It worked almost instantly on healing up his poor skin. I saw a difference within 24 hours of use. I HIGHLY recommend this product!! 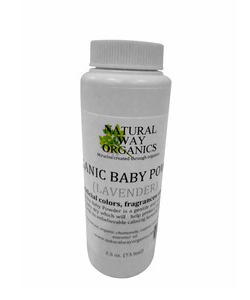 I am very happy with my purchase of this organic unscented baby lotion from Natural Way Organics. I smear a small amount on my baby’s dry skin and after a couple of days her skin is back to normal. The bottle is long lasting too! I love when I am able to get organic products to use on my children because I feel that it’s really important to keep my kids skin nice and healthy. So I was thrilled to try this lotion on my baby. It’s unscented which is great. 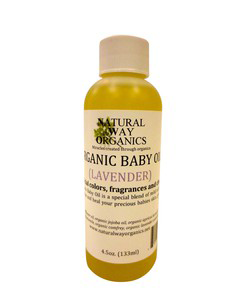 Sometimes baby lotions have the strongest odor and it blocks out that new baby smell! That’s the best part of having a newborn! The lotion goes on smooth and doesn’t leave an oily or sticky film. It absorbs quickly and leaves my baby’s skin soft and smooth. It’s also great for my skin. My hands were so soft after putting it on my baby that I started using it myself! This is a quality product and you can tell care was taken developing it. I spent a long time looking for a baby lotion that actually worked for my baby in northern WI winters, that doesn’t feel greasy or have an overpowering fragrance, and this is it! Ordering my second bottle – the first lasted about 4 months! We use this stuff like its going out of style. Great for keeps the kids skin moisturized and soft. 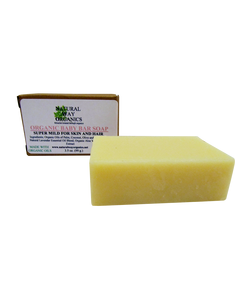 Organic Handmade Baby Bar Soap 3.5 Oz.